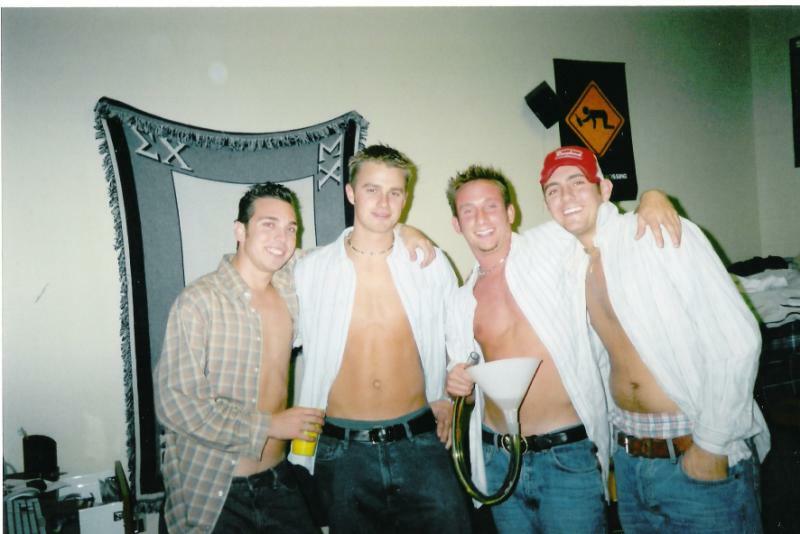 4 guys with their shirts open, one of which is holding a long tube. I hope you guys used lube. Yeah, this picture is pretty gay.